LOUISVILLE, KY. (Tequila.net) – Brown-Forman Corp. announced today that its el Jimador Tequila brand is introducing a 100% blue agave tequila product in the U.S. el Jimador Tequila is also rolling out a striking new package and will be accompanied by a nationwide integrated marketing campaign, 100% Agave, 100% Real. el Jimador’s signature cocktail, the Authentic Jimador Paloma, is the most popular tequila cocktail in Mexico and is rapidly growing as the tequila consumption choice for US consumers seeking an authentic tequila cocktail. The Paloma cocktail, a mix of tequila and Fresca® or Squirt®, leverages the growing trend of grapefruit popularity in the US and adds a refreshing spin to tequila cocktails. The new packaging of el Jimador moves the brand presentation to a tall, angular bottle, while retaining the brand's core signature icon – the Jimador himself. el Jimador is named after the proud men that harvest the finest agave plants used for making the tequila. 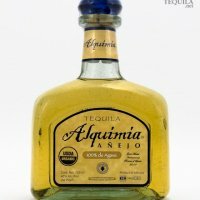 The premium packaging beautifully showcases the range of product color; the crystal clear blanco, the golden hue of the reposado and the rich, amber añejo. Created by AOR Draftfcb Chicago, in conjunction with the Draftfcb Mexico City, the 100% Agave, 100% Real campaign delivers a primary brand message; in a world where everyone associates tequila with celebration, el Jimador is the most authentic tequila celebration. This authenticity is brought to life through a visual of a Mexican wood carving (created by an artist, Claudio Limon, in Guadalajara, the region of Mexico where el Jimador is made). The wood carving illustrates the brand story and is a tapestry of icons and symbols that relate to el Jimador’s history, production process and tequila celebration. The bilingual campaign will include television, print, out-of-home, POS and interactive. Casa Herradura was named “2007 Best Distiller of the Year” by Wine Enthusiast magazine. Since 2000, el Jimador has received numerous accolades from industry insiders, including the Adams Beverage Media Growth Brand Award in the Fast Track Category for 2005 and 2006. Brown-Forman Corporation is a diversified producer and marketer of fine quality beverage alcohol brands, including Jack Daniel’s, Southern Comfort, Finlandia Vodka, Tequila Herradura, el Jimador Tequila, Canadian Mist, Fetzer and Korbel California Champagnes.